The Republic of Zimbabwe is a landlocked country located in the southern part of Africa, between the Zambezi and Limpopo rivers. Victoria Falls, which forms the world’s largest curtain of falling water, is on the border between Zambia and Zimbabwe. The local name for Victoria Falls is ‘Mosi-oa-Tunya’ (the smoke that thunders). Mana Pools National Park on the banks of the Zambezi is the habitat for a large number of wild animals including the Nile crocodile. Eastern Africa is a land of lions, elephants, zebras, monkeys, giraffes, and many other wonderful animals. 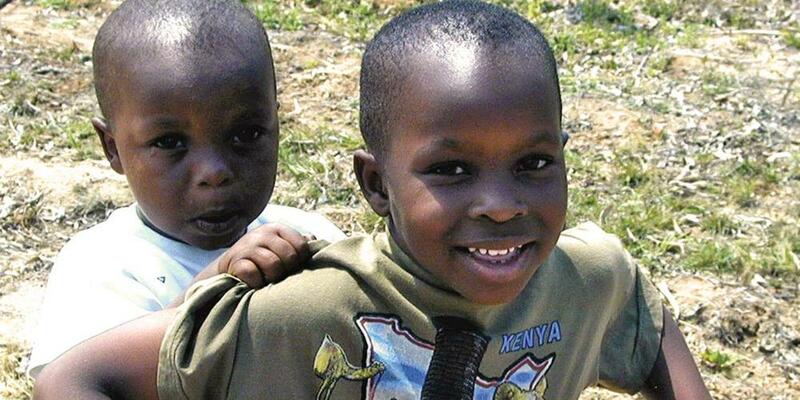 It is also home to many wonderful children, too, such as Jordan and Sifa, brothers who live on the campus of Solusi University in Zimbabwe [locate Zimbabwe on map; Solusi is near Bulawayo in south-central Zimbabwe]. Part of our Thirteenth Sabbath Offering this quarter will help students at Solusi University to have a bigger place where they can eat together. Jordan is 6 years old. He’s the big brother. Sifa, 3 years old, is the little brother. But Sifa is big for his age, almost as big as Jordan. And sometimes Sifa doesn’t understand that he’s still younger than his brother and can’t do everything that his brother does. He wants to do the same things that Jordan does, even though he’s too young. Not long ago Jordan received a bicycle. It had training wheels on it, and Jordan could ride up and down the smooth driveway in front of his house. But even with training wheels, the bicycle was hard to ride on the sandy dirt road in front of his house. And whenever Sifa saw his brother riding his new bike, he wanted to ride too. So Jordan patiently let Sifa climb onto the seat, then Jordan would pedal back and forth on the driveway. One day Jordan’s father watched his son ride the bike and decided that it was time to take the training wheels off. So father and son worked on the task together. Jordan felt very grown up to be able to ride the bicycle without the training wheels. He decided to try riding it across the sandy dirt road to his neighbor’s house and back. It was much harder to balance and ride in the sand. And when Sifa saw his brother ride across the road, he ran after him, crying. He wanted to join Jordan on this new adventure. When Jordan heard his brother running after him, crying, he didn’t ride faster to escape. He stopped to see what Sifa wanted. “Ride me!” little Sifa sniffled. So Jordan got off the bicycle to help his brother onto the seat. But there was a problem. The training wheels that helped balance the bike were gone. And the boys were not in the driveway, where it was smooth and level. Sifa couldn’t climb on by himself. And how could Jordan ride Sifa across the sandy dirt road without the training wheels? Jordan tried one way then another to help Sifa onto the bike without letting it fall. But he couldn’t do it. The neighbor heard Sifa whimpering and went to see what was wrong. Jordan asked the neighbor to help Sifa onto the bicycle seat. Then the neighbor offered to hold the bicycle while Jordan got on. But then Jordan discovered another problem. He couldn’t pedal the bike without sitting down. And Sifa was on the seat. No, that wouldn’t work. While the neighbor studied the problem, Jordan made a decision. “If you hold on to Sifa, I can push the bike home and Sifa can still ride,” Jordan said. The neighbor smiled at the boy’s solution and soon Sifa, Jordan, and the neighbor were parked at Jordan’s front door. Sifa was all smiles as the neighbor helped him off the bike. “T’ank you, Jordan,” he said, wiping his eyes once more. Then the brothers ran inside to play. Jordan did more than give his brother a ride that day. Jordan showed his little brother the kind of love that Jesus shows us. It’s unselfish love, love given without thinking of what he would get back, for Sifa couldn’t give him something back. That’s God’s kind of love. Let’s show that kind of love to one another this week and make the world a happier place.